Less than three weeks into his tenure with the Philadelphia Phillies, David Robertson is heading to the injured list. The club placed the veteran reliever on the 10-day IL on Monday due to elbow soreness. Drew Anderson was called up from triple-A to take his place on the roster. 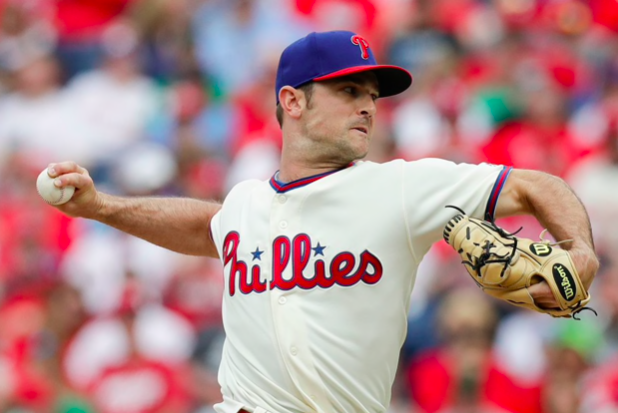 It’s an early blow for a Philadelphia bullpen that has been inconsistent at best thus far and would like a veteran like Robertson to help stabilize things. Robertson’s trip to the DL comes one day after he tossed two scoreless innings against the Marlins. That was also his first appearance after getting five straight days off. The 34-year-old is set to get an MRI on Tuesday, which should give the Phillies a better idea of how long he might be out. Of course, elbow soreness is nothing to take lightly for any pitcher. The Phillies signed Robertson to a two-year contract this past winter in an effort to reshape their bullpen. He’s been one of Philadelphia’s most used relievers early in the season, tying for the team-high with seven appearances in the first 14 games of the season. After struggling in his first few outings of the season, Robertson has settled down and not allowed a run over his last 4.2 innings. Alas, his ERA sits at a disappointing 5.40 with his WHIP at 2.10. The Phillies have declined to use Robertson as a closer this year despite his 137 career saves. In fact, the Phillies have declined to use a closer at all. Three different relievers have recorded a save for the club this season. But Robertson isn’t one of them. That may actually make it easier for the Phillies to get by without him. Without defined roles for the back end of the bullpen, Phillies manage Gabe Kapler doesn’t have to worry about shuffling pieces around. Of course, the Philadelphia bullpen as a whole hasn’t gotten off to a good start in 2019. The Phillies have a modest 4.64 bullpen ERA at this point in the season. The likes of Robertson, Juan Nicasio, Jose Alvarez, and Seranthony Dominguez have all underperformed. Despite a few bright spots, the Philadelphia bullpen has been inconsistent at best over the first few weeks of the season. Nevertheless, the Phillies will be eager to get Robertson back as soon as possible. In the long run, he figures to be an important part of the Philadelphia bullpen. Despite the uneven start, he’s likely to settle down and become one of the team’s most reliable bullpen arms. However, an early trip to the IL could end up throwing a wrench in those plans.